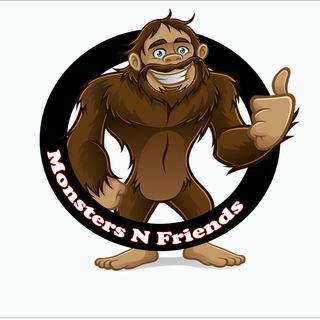 This week on the Monsters N Friends Podcast we experience some SQUATCHAPALOOZA!!! That's right! We've heard of Sasquatch! We've heard of Batsquatch! But this week on the pod, I am proud to present to you...SHEEPSQUATCH!!! No I'm serious. You may laugh, but take one look at this beast and you'll run fast and far! !